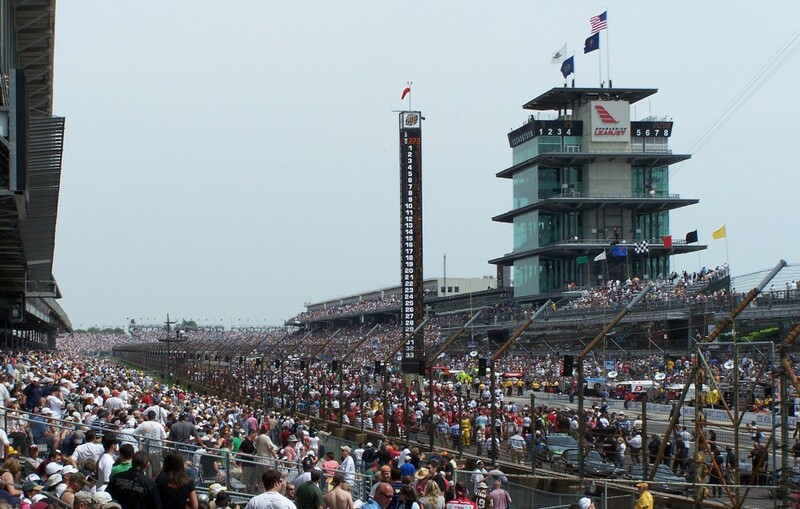 100th Indy 500 Qualifications Day One: Mayor of Indy? After more a.m. rain, weepers on the track caused a delay in the first day of qualifying for the greatest spectacle in racing. IMS extended the track window by an hour setting up a helluva climax for ESPNews. Boy, was it a Duesie. The Mayor James Hinchcliffe stole the show – and the pole – in a riveting late happy hour run of 230.946 mph. Prior to that, Max Chilton was involved in the first accident of the day in practice, losing the car in turn 2 and smashing Chip’s half million dollar bill board up pretty well. Calamity next struck Pippa Mann when her rear wing end fence failed during a qualifying attempt, spinning her out in turn 2. She almost saved it with an evasive maneuver before lightly brushing the wall.